"lunes linkage" is a collection of links, articles, etc. (anything) I've found interesting and might want to come back to. Creation isn’t right. The physical world has been “subjected to futility,” to frustration. It doesn’t work properly. It’s out of joint. It has been subjected to this frustration by God. The Bible’s wider narrative explains this. God cursed the ground as a judgment on human sin (Gen. 3:17). In other words, the world isn’t right as both a consequence and a demonstration of the fact that we’re not right. 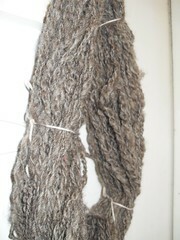 This will be a good choice when I have spun all the alpaca fiber into yarn. 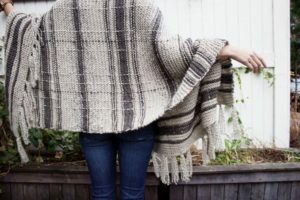 This piece will be easy and fast to knit, and it is just the sort of thing I like to curl up in when it's chilly, either indoors or out. According to National Review, the impact on American Samoa and the Northern Mariana Islands was devastating. After only three of the ten scheduled minimum-wage increases after 2006, American Samoa’s overall employment dropped 30 percent — a 58 percent crash in for the critically important tuna-canning industry. Real GDP fell by 10 percent. But that was much better than their Northern Mariana Islands neighbors, where employment had plunged by 35 percent, and real per capita GDP off by 23 percent. Posted in lunes linkage. Tags: alpaca, Christianity, knitting, Politics, transgender on January 16, 2017 by MzEllen. The point I'm at in the photo is after spinning and spinning (later on that) and then you have to let is set in water to "set the twist." Posted in Crafting. Tags: craft, knitting on January 12, 2013 by MzEllen. I almost finished a pair of socks. Really...close. 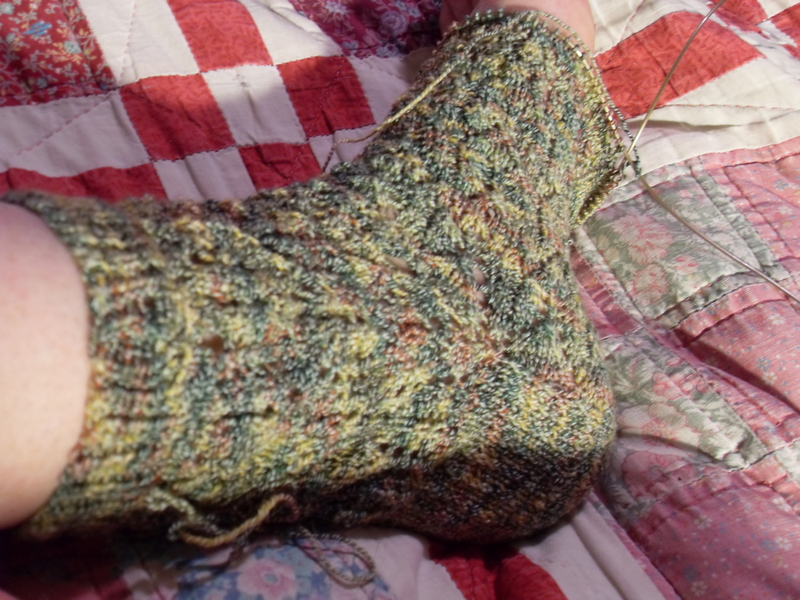 The knitting is done and all I have to do is graft the toe closed. I started another sock (purple and gray stripe). 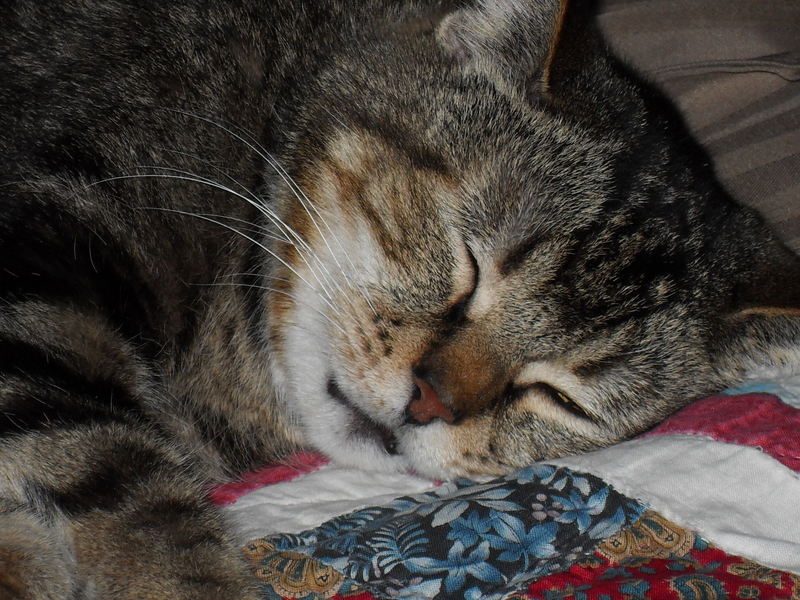 Life is settling in and I'm blogging again. Posted in Crafting. 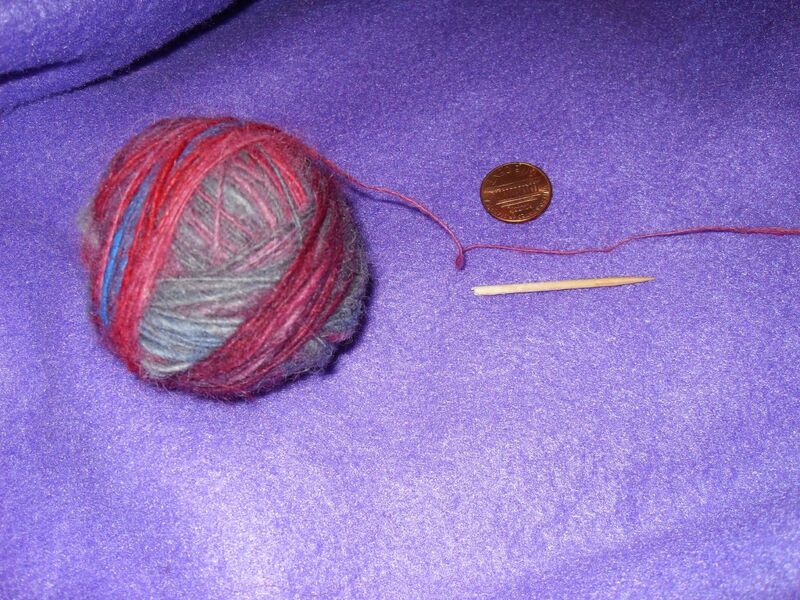 Tags: crafts, knitting, socks, spinning wheel on October 9, 2010 by MzEllen. As I knit, I've been knitting socks, I've been using a variety of patterns. After browsing patterns (mostly looking at pictures, I can sort out the patterns later) I noticed that they mostly follow the same basic structure. Cast on 64 (56, 48, 32). Are all socks multiples of 8? The vast majority, yes. ok. There are only two places that the sock "decreases" - the heel and the toe. I use the "magic loop" method of sock knitting, so I have the sock in two parts (the top of the foot and the bottom of the foot). 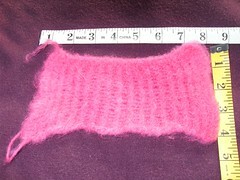 You decrease 1 stitch at both ends of both these parts every other row. For a while I worried about trying to remember if I had decreased the even rows or the odd rows and then I just decided that (if I had to) I would adjust the pattern so that I also decreased on the odd rows. 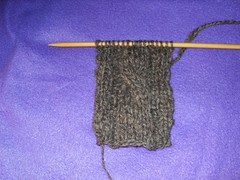 During the decrease times, I knit even (no increase, no decrease) on the even rows. Once I established this habit, it became...well, a habit. I have a row counter, if it's an even row, I knit even. One of the big political flaps of the week was the Letterman/Palin media scuffle. Other than the "top ten" lists, I'm not a big Letterman fan. I appreciate the Palin family's protection (even if overly dramatic) of their child. Matthew 18 may (or may not) apply - Letterman does not claim to be a brother in Christ. But we are to show the world how repentance and forgiveness works. If Palin had gone privately to Letterman first, perhaps there would have been a different ending? Right now, the sincerity of the apology is being debated; if the confrontation had been private and Letterman had said the same thing, there would be no debate. Palin made political hay. While I understand her very public defense of her daughter and would most likely (at the very least have been tempted to) do the same, she still made hay. Over the last couple of days, Sarah Palin had two roads. Her "acceptance" of the apology is just as insincere as the apology is made out to be. Her chiding had no place in the forgiveness by a Christian. "Of course it's accepted on behalf of young women, like my daughters, who hope men who 'joke' about public displays of sexual exploitation of girls will soon evolve." "Of course, on behalf of women everywhere, it's accepted." Period. Just as "sorry...but..." apologies have a more appropriate ending, so do acceptances. But that is what is it is. Just as important is the response of Christians. I've written before about how an apology is a cheap substitute for real repentance. and "I accept" is a cheap substitute for real forgiveness. Real forgiveness means restoration and a promise to not hold the offense against the offender again. Ever. "We all do things that are wrong and we all need forgiveness. I have been forgiven by God and I forgive you." What would that have told the world? But no...there is hay to be made. Posted in Christian Issues, Christianity, Crafting, Politics. 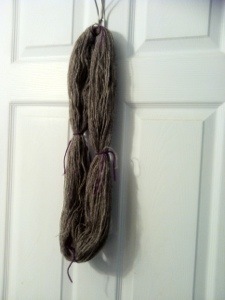 Tags: EVEN IS, forgiveness, knitting, Life, Politics, Sarah Palin on June 18, 2009 by MzEllen. 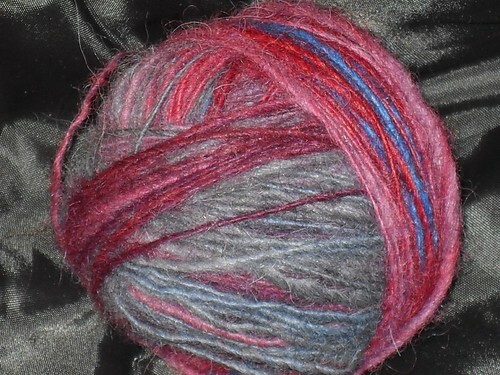 I bought a bag of alpaca fiber - the animal's name is "Juan" and the color pathway is called "blue sheen".
.(the fiber spun onto a drop spindle - it's counter intuitive, but the lighter the spindle, the finer the thread; I think because it spins faster. This is how fine it's spinning up. 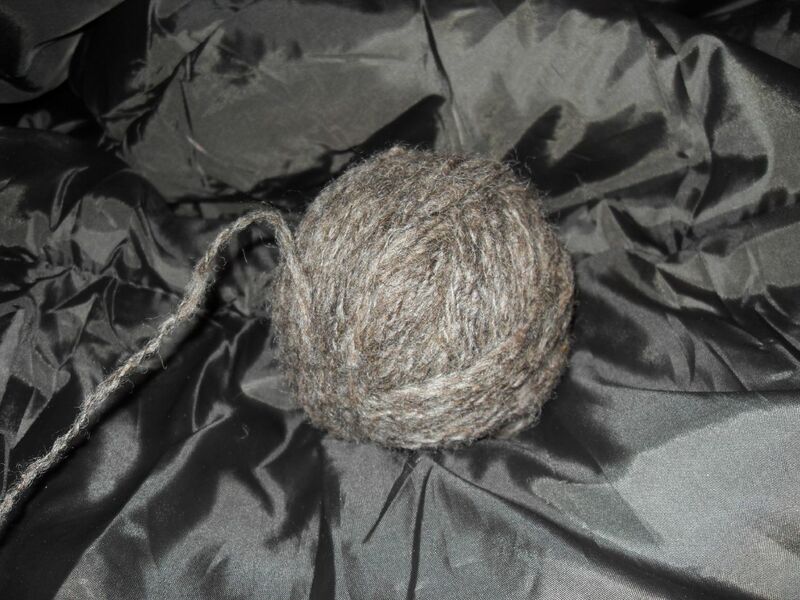 This is a single ply thread - when all the fiber is spun, two balls will be spun together with the spindle going in the opposite direction of the single ply - this is called "worsting", making worsted yard. Posted in Crafting. Tags: crafts, knitting, socks, spinning on March 7, 2009 by MzEllen. will have me on track to make 26 pairs of socks in a year. So far, I'm on track (4 pairs finished so far). Handmade socks seem like a very nice gifts to give "somebody who has everything". SILK FIBER FUN KIT: treat yourself to 9 types of silk and silk blend fibers: Tussah silk roving, dyed Tussah silk, cultivated silk cocoons, Bombyx silk slivers, 100% mixed silk fibers, throwsters waste, cultivated silk hankies, Tussah silk noil, and Bombyx silk caps. 100g total. Each kit is presented in a beautiful 7"x9"x2" handmade box produced by a family cottage industry in India. A great gitf! Posted in Crafting, I Want This. Tags: craft, knitting, socks, spinning, that really socks on March 2, 2009 by MzEllen. 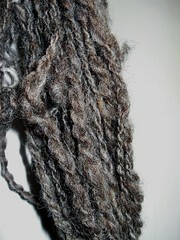 and forgot to take a finished photo...and they're being washed now so I can't...but they're done! Posted in Crafting. Tags: crafts, Henry, knitting, that really socks on February 23, 2009 by MzEllen. 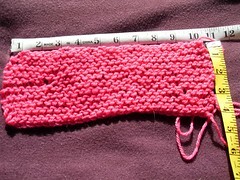 This first piece started out (cast on 30, knit for 20 rows) 11 inches by 4 inches and ended up stretched width-wise, but only 3 inches tall. 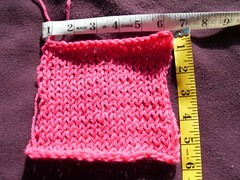 This second piece (stockinette, cast on 20, work for 20 rows) started out 6 inches wide and 6 inches tall. 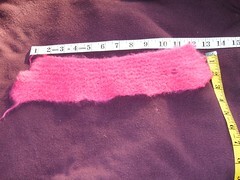 It ended up 7 inches wide and only 4 inches tall. bind off very (VERY) loosely - in fact, try knitting the last row and binding off with a huge pair of needles. stockinette and garter stitches don't act the same. Posted in Crafting. 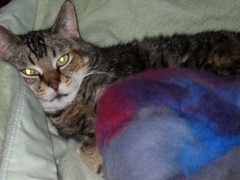 Tags: felting, fulling, knitting, Lessons Learned, Photos on November 26, 2008 by MzEllen.